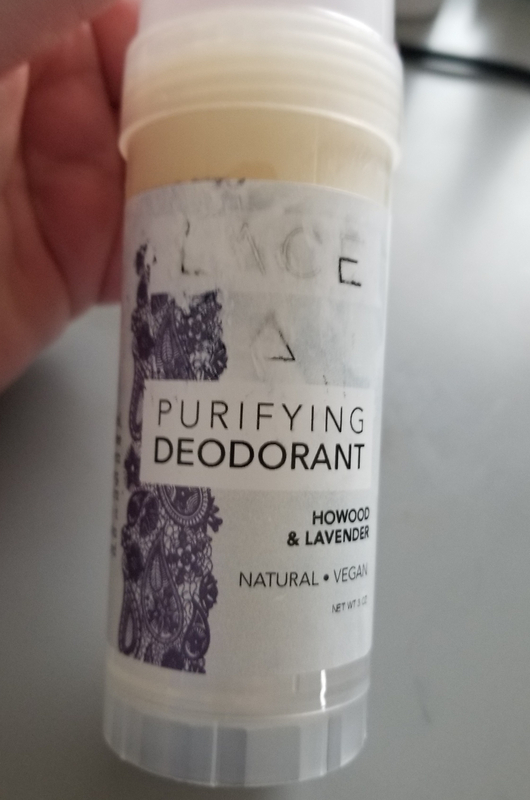 I mentioned last month that I was trying a natural deodorant, and despite my struggles, I’m still on the natural train. At this point, I’ve tried several different brands and formulas, and I think I’ve learned some things that may (or may not, who knows?) be helpful to you, my internet friends. I’ve already talked about how I feel about the Lavanila Vanilla Passionfruit, so I’ll just say: no. Hard pass. I still use it when I’m just hanging around the house and spending the day in my super cold office, but it’s not something I’ll wear out in the world. I bought the travel size of this from Ulta, partly because it’s cheaper and I didn’t know if I’d like it, and partly because I knew I’d be doing a lot of traveling this winter and wanted to make my life a tiny bit easier. Pros: It’s small so it’s perfect for travel. The packaging is sturdy enough to travel with and stays relatively clean. It smells ok.
Cons: Again, the price. The full size is $14 and the travel size is $9. The formula is really dry, much more so than the other scent from the same brand, and it’s almost painful to put on. Most importantly, it doesn’t keep me from getting smelly by the end of the day. I don’t mind sweating and I know this isn’t an antiperspirant, but I don’t expect to smell bad. While I was using both Lavanila deodorants I noticed that my armpits were getting a bit irritated. They were a little bit red and itchy. I didn’t use this for more than two or three days at a time so I’m not entirely sure if it was this product or something else I was using. When I realized that Lavanila wasn’t going to work for me I started looking for other options, and of course, I checked Amazon. This got relatively good reviews and I like the packaging, so why not? Pros: The price is pretty good, and with Amazon Prime, it shows up really quickly. 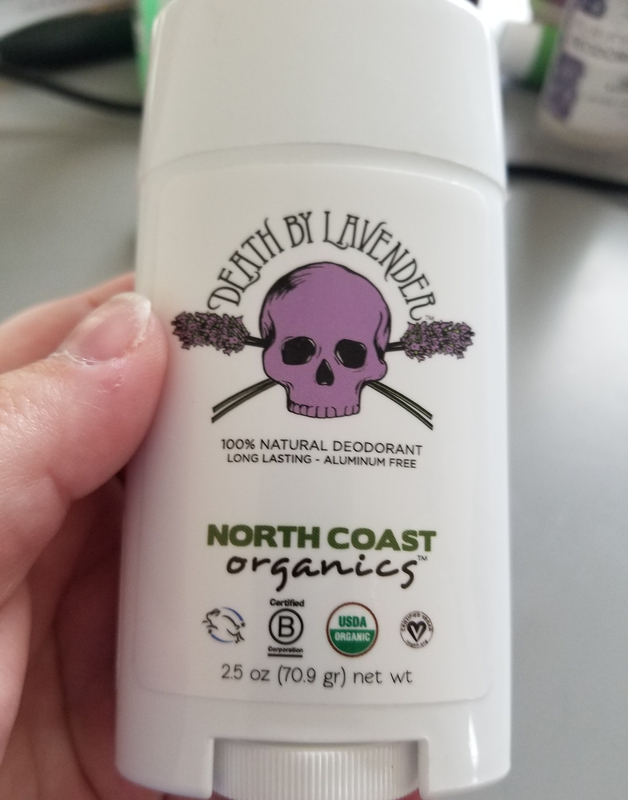 The packaging is cute (you know I like skulls) and it smells so good. I love the scent of lavender and would gladly have everything I own be scented with it. Cons: Wow, I don’t even know where to start with the cons. First and foremost, this stuff tore up my armpits. I used it for four days, and not only did it darken my underarms but it also gave me a bright, angry, painful rash. 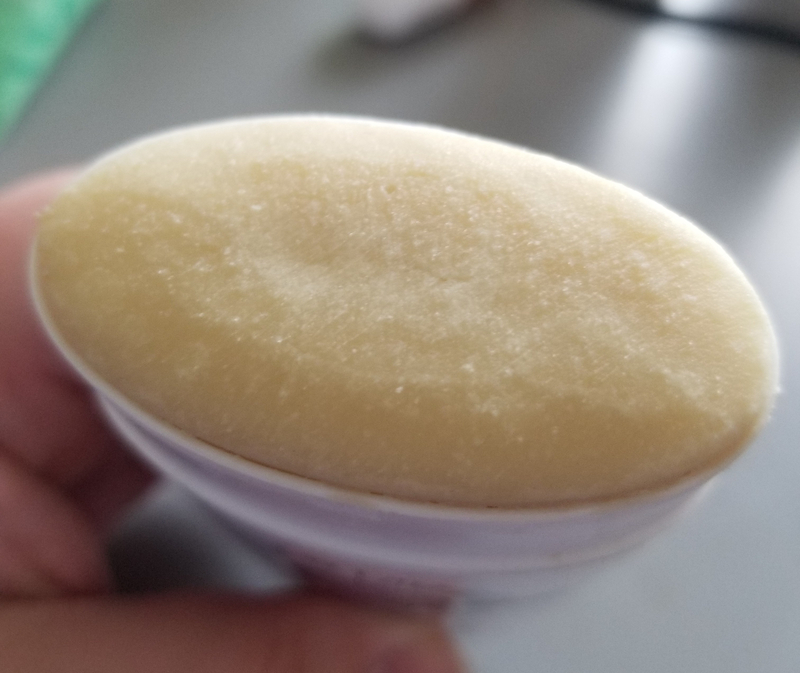 The texture is very dry, and applying it was an uncomfortable process. I attribute the texture and my skin’s reaction to the amount of baking soda that’s in this stuff. I didn’t realize it before, but apparently having too much sodium bicarbonate in deodorant products can cause skin reactions. Lovely. Needless to stay this stuff went in the trash. Instagram strikes again. I had been searching for other natural deodorants, and one day this company popped up in my Insta ads. I could have just given up and gotten a Tom’s of Maine deodorant from Walgreens, but I’m stubborn. I wanted something I really loved, not just tolerated. So I picked out the lavender scent again and ordered. This company is the “sister” brand of Whiskey, Ink & Lace, a company that makes natural shaving products. All of Lace’s products are also natural, and they claim to eschew the pink tax and not charge more for “women’s” deodorant or hair products. Ok Lace, I’m listening. Pros: This smells SO good, like rolling around in a lavender field. The texture is more like typical deodorant so it doesn’t rip the skin off my armpits. The price is pretty good; the full size of this is only a tiny bit more than the travel size of the Lavanila. I’ve been using it consistently for the past few weeks and it hasn’t made the skin under my arms red or irritated or dark, so that’s good. Most importantly – I don’t stink at the end of the day! I don’t even stink the next morning. All I want from a deodorant is to keep me from smelling bad, and this does it. I signed up for the subscription to get a discount, and I’m pretty happy that this will show up on my doorstep without me thinking about it. 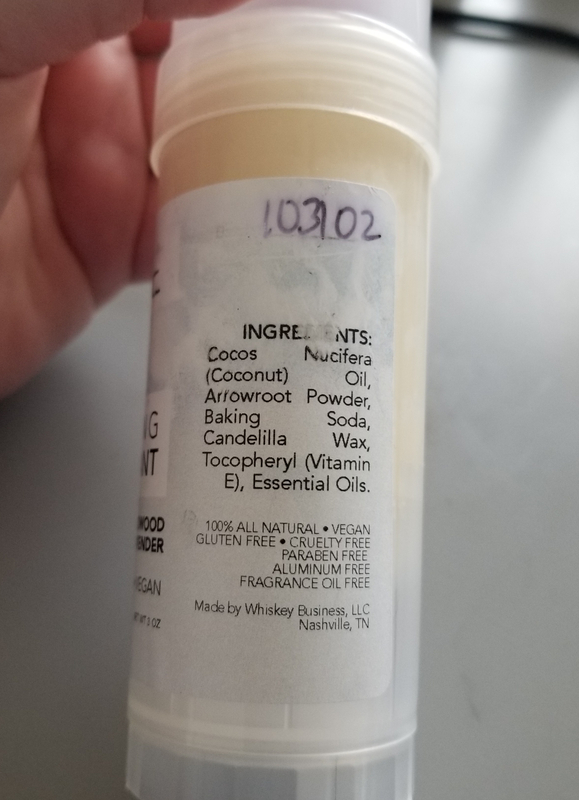 Cons: Because it’s a small company and this stuff is made in small batches, it took a while to get to me after I ordered. 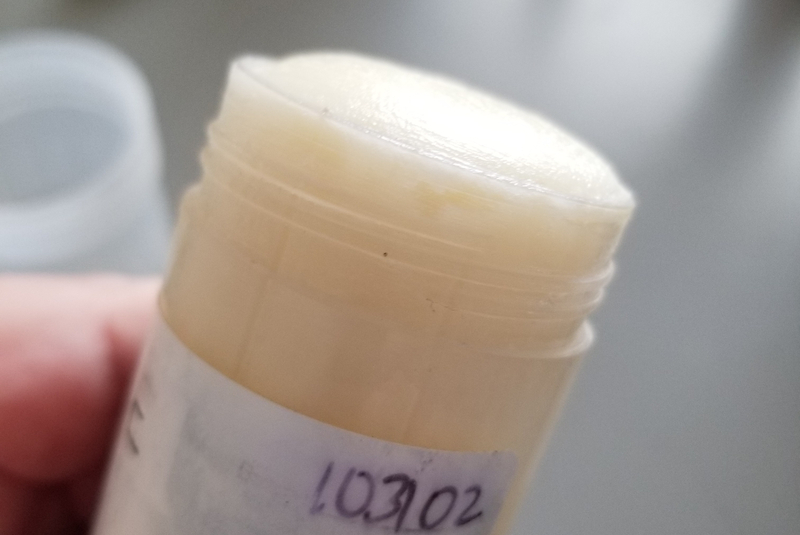 The ink on the label is rubbing off, as you can see in the photos, and it got black stuff on some of my other products while I was traveling. It also seems smaller than other deodorants, and it seems like I’m going through it kind of quickly, but I’m not really positive. Overall, the Lace deodorant is the clear winner because it doesn’t give me a horrible rash and I don’t smell bad. I had no idea that’s all it would take to win the battle of the deodorants. Woo low standards. So, what do you use to keep from getting smelly during the day? Do you worry about aluminum and chemicals in your deodorant? I feel your pain. I have gone through the same stuff. Even tried to use Native which is supposed to be the best. It didn’t quite hold me all day. And after 3-4 days my pits were getting raw and sore. Someone recommended “NoPong” to me. It’s from Australia but now they have it in Canada where I live. The cost here was $6.99+tax and shipping which was $2.90. It comes in the cutest little tin for travel. I got the sensitive one and it keeps me dry and odour free ALL day!!! It feels soothing going on and I love it. Clear winner here for me! Trust me, it is worth it! Ohhh I’ve never heard of that, but now I have to check it out. Thanks so much for the recommendation!